You are here: Home › How To Make A Blog and a Blog Income › Is Mastering Public Speaking Good for Bloggers? Back in 2005 - me hosting an event! Mastering Public Speaking is a huge skill for most successful businesspeople. The ability to articulate ideas clearly and in an engaging way is fundamental for politicians, company directors and sales people. The problem is, it is possibly one of the most nerve-wracking things a human being can do, ranking number three on the list of phobias, second only to spiders and snakes. Think of Public Speaking and you may immediately condure up an image of standing on a stage in front of people talking about a subject. You might even feel frightened, as your little inner voice starts to say, ‘I hate public speaking. I can never do that’. Many people can remember back to situations in their lives when they had to stand in front of a crowd, be it in the classroom or at a meeting, in order to deliver a speech or a presentation of some kind. The fear is well remembered – that feeling of complete and utter horror at having people staring, waiting for the words to come out. The racing heartbeat, sweaty palms and the inability to concentrate are all too familiar feelings that we would just as soon forget. Perhaps you were in school and were forced to give a speech. Maybe you dreaded that day for weeks ahead of time worrying and obsessing about how dumb you were going to feel and how uncomfortable it was going to be. But somehow, you got through it and survived. That doesn’t mean you ever want to do it again. If you can remember feeling like this at one time or another and are very happy that you do not have to face that terribly uncomfortable situation anymore, then you are surely relieved. During my corporate career, I delivered many presentations in front of thousands. Public speaking has never really concerned me. It was part of the job. See the image of me back in 2005? I hosted the company’s annual event. Now I am a full-time blogger…has that changed? Being a blogger, we just sit at our PC’s all day writing… tweeting… marketing… sending emails, don’t we? Mastering public speaking is actually good for us as bloggers. Public Speaking isn’t just about standing up on the stage and giving a presentation. It comes in to play when you attend meetings. As a blogger, perhaps you meet up with other bloggers on a regular basis and talk tips and techniques. And what about teleconferences? Perhaps part of your service is a teleconference course when you have to speak to several customers (albeit on the end of a phone line). This is still public speaking. And then of course, there are videos. Standing in front of a camera, making a video of yourself sharing advice is also Public Speaking. Blogging is NOT just sitting at your PC all day, writing. One of the most important aspects of blogging is building relationships and to do that you need to talk…you need to meet…you need to publicly speak. Having a fear of public speaking could make you miss out on a lot of blogging opportuniues. All the big bloggers/Internet Maketers around stand on the stage in front of thousands, sharing their advice, and often get paid very well for doing so. Getting out there and being seen is as much a valuable part of building your business as writing regular blog updates. Or would you be stuttering and saying things like ‘ahhh’ and ‘you know’? First, let me make something clear: You don’t have to master public speaking to be successful at blogging. BUT…if you want to speed up your success or want even more success, then public speaking is crucial. Instead of being scared to death of being in the spotlight, no matter what the circumstances may be, after mastering public speaking you will feel comfortable and very willing to share your opinions and ideas with others. With the ability to speak well in public, you can form new friendships / relationships and that can only help your blogging success. You must have a view on this one? What is it? How has public speaking helped you? How has it held you back? Share you views in the comments below. 39 Responses to Is Mastering Public Speaking Good for Bloggers? Public speaking can be a horrifying thing to do but it is just another thing you get used to over time. Once you know that it doesn’t matter you get the hang of it. THe best way to get over the fear in my opinion is to fail miserably once and then see for yourself that nothing happened… you are still alive… Life continues. Same thing with all fears you can only surpass them by not avoiding them and instead go right into them. .-= Alex@Zahnbleaching´s last blog ..Home Bleaching: Vor- und Nachteile von Bleaching Zuhause =-. I think failing miserably, for some, would kill what little confidence they had – never to return to the stage! Is it true what they say about kilts? What – they are made from 9 yards of material? Yes! .-= Chris@ 48hours logo´s last blog ..How to run a successful logo design contest =-. Andrew are you from Scotland? I am just interested because I recently travel to Scotland. I like how you connected public speaking to blogging. I think many people make the mistake and think of blogging as sitting behind your desk and as not having to connect to any other people. But that’s really what blogging is about. It’s about talking to other people and building up relationships. Without it you will never become successful blogging. .-= Julius Kuhn-Regnier´s last blog ..What Traveling through Scotland Taught Me about Blogging =-. No I am not from Scotland. 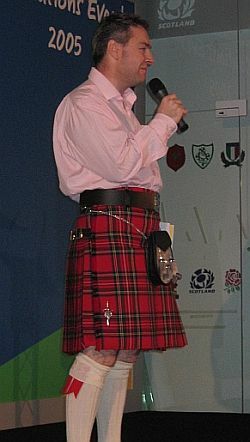 I was hosting the company event at Murrayfield (Scotland) and I thought it would be fun if I were to wear a kilt. Some loved it, some hated it – the fact that an Englishman was wearing a kilt. 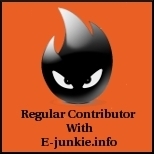 .-= Andrew @ Blogging Guide´s last blog ..Testimonials =-. I’m not too sure what you are saying, here. Are you saying you don’t think you need to be a good public speaker to be a VERY successful blogger? I kinow how the job ensures you just have to do it.. and after a short while you enjoy it. I totaly agree public speaking and blogging are related… and I think the connection will increase. Internet. social media = same emotions we have always had… so conveying those in person, via video or via words are not totally alien things: especially videos which are a little like public speaking. low tech rules… look at Steve Jobs and his public speaking for good examples. thanks for talking so much sense. .-= Lance Nelson´s last blog ..YouTube Video: It’s Serious Fun For Travel Bloggers =-. You are right about PowerPoint. 99% of people, who use it, use it to remind them of what to say. Just bullet points! 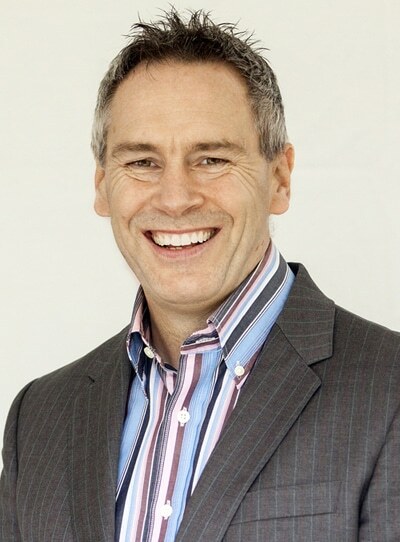 Public speaking is about sharing your passion and advice – just like blogging I suppose. You don’t need PowerPoint. Props are good for getting your point across, though. I can relate to public speaking fears. Over the last few years I’ve had to overcome them and I’m doing better. My daughter just won a persuasive speech competition at school, don’t know where she gets that from! Good news – you are doing better. Great news about your daughter! If you want to get speaking engagements, it is helpful if you also have a book – not an E book – to promote. Otherwise, you are limited to speaking to groups on what is a blog anyway. Belive it or not, most people do not know. .-= Corinne Edwards´s last blog ..YOUR BOOK – BE A GREAT INTERVIEW GUEST =-. Getting a book published is on my list of goals. It would be nice! When I was in sales and we had our meeting sometimes I had to talk to new consultants. Actually I loved it as long as I had no doubt and knew my subject well. The only part I don’t like is that I have a very low voice and hate the sound of it on tape. I think we all hate our voice when it is recorded. I remember many years ago, while at school I used to be a DJ. I was hopeless – I didn’t have the nerve to speak and the first time I did – everyone took the “Mickey” out of my London accent! These days, I don’t care! I disagree. Aside from actually having to be “on stage”, I disagree with the analogies you gave. “As a blogger, perhaps you meet up with other bloggers on a regular basis and talk tips and techniques.” – you mean like having dinner with other bloggers? No real skills needed there, just be yourself. Teleconferences – many that fear public speaking love the phone BECAUSE it’s not “public” speaking. Videos – OK Judgment call, lol. Still much easier for many though as long as they don’t imagine how many are on the other side. .-= Dennis Edell @ Direct Sales Marketing´s last blog ..New Updated Long Detailed Comment Policy Coming very SOON! Among Others… =-. I think a lot of people find it hard to be ‘themselves’ when meeting new people and are then ‘afraid’ to speak/talk. Re: Teleconferences. There are also many that still have the fear! Agree that public speaking is important when you become full time blogger. Blogging is a work indeed. .-= Dana @ Blogging Tips Blog´s last blog ..How To Create Blog Logo Easily by Using GIMP #5 (Finish) =-. I found that joining Toastmasters was not only a phenomenal way to improve my public speaking skills, it made all of my communications tighter and more polished. Blog articles make great short speeches and vice versa! And Toastmasters is a place where you can make mistakes in a friendly environment! AND get honest constructive feedback. I’m enjoying every bit of this post, Andrew. 🙂 I used to take part in storytelling when I was little, gave a few speeches but after I grew up, very seldom I had the chance to speak in public. My last presentation in uni was enjoyable, I love to tell stories and spread a little jokes around (but that was the only time I spoke in English). I’m not a native English speaker, you can probably tell from the way I ‘talk’. 😛 Still, I’m so glad you are connecting PS to blogging! Fact is, we are presenting everyday when we’re expressing ourselves with words and illustrations, then on Skype when we ‘meet’ the bloggers, sharing experiences; not to mention, vblogging – which is a stage I have yet to venture, but planning to in near future. .-= Ching Ya´s last blog ..How to Improve Facebook Engagement by Decluttering News Feed =-. So whan are you going to get back into PS? I’ll leave that to time and blogging progress. At the mean time, be prepared is what I’ll do. I actually feel that public speaking is one of my strengths, and that has helped me in many ways for my online endeavors… the only challenge is it seems like (just as Corinne was saying) none of the groups I manage to speak with really ‘get’ blogging… and my topic seems to make it even more challenging for them. Other than getting published (one of my many long term goals)… do you have any thoughts on finding a receptive group that will appreciate the suggestion to ‘visit my blog’? .-= Benjamin@Daily Meditation´s last blog ..Daily Meditation – Soften (4-13-10) =-. Have you visited any forums in your topic? That could be a good start. 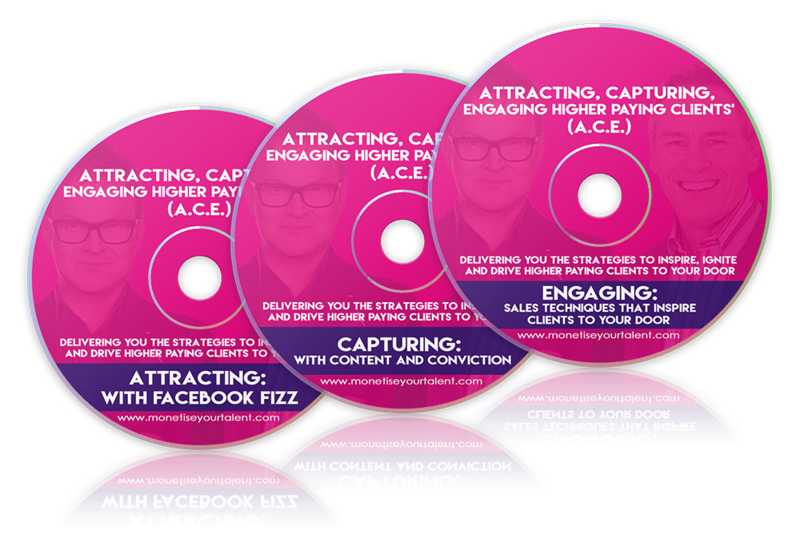 I hate the thought of standing in front of people and speaking, but I can see how it would help you to communicate more effectively with your niche audience. In fact, it would help a great deal with making videos for your Blog, which would build a lot of credibility with your readers. Oh well, I am still trying to get up the nerve to make some videos, I know it helps people to learn (visual aids), because it really helped me…most of the products I buy online are video series. The more I interact with my readers, the more comfortable I become with the idea of speaking to them in person, or through video. Your article made a great point. Making a video would be a great step. Try and make a short one. Remember no-one is actually watching you when you make the video. I think if you plan to ever build your reputation by using offline means such as conferences etc. then yes it is definitely worth the time to learn the skill. Andrew, love the kilt! Public speaking is the way to set yourself apart in your local market. I agree completely. .-= Bruce “the Mid-Life Mentor”´s last blog ..5 Tips to help Your skin look better =-. I loved wearing the kilt! There are so well made and heavy! I believe that your skill in public speaking helps you in creating blog posts. This is because public speaking skills such as your ability to be conversational and the passion you have would also reflect on how you write your articles. .-= Julius´s last blog ..How to Caption Videos in YouTube =-. .-= Kok Siong @ Cancer Research´s last blog ..Tamoxifen – Breast Cancer Treatment =-. You are welcome – I hope it helps a little. Yes, i still PS now with mandarin in my University. I used to deliver the talk to my juniors especially in buddhism and character building. Nice article. At least I am not sure why an ability like public speaking should help us creating blog posts. Isn’t a good writing style more important to express yourself and get trained to react on questions and discussion in public? .-= Andrew @ Blogging Guide´s last blog ..How to create awareness for your blog =-.